An imaging center is a facility where x-rays, MRIs, ultrasounds and other radiologic and electromagnetic images are produced and interpreted by a professional staff. There are ownership opportunities for either a joint venture or consolidation of radiology practices. Due to rapid changes in healthcare, particularly in radiology, imaging centers need to understand all of the options for restructuring their business or selling part or all of their imaging center. Ambulatory Alliances is at the forefront when it comes to providing merger and acquisition (M&A) services to physician owners, management teams, hospital health systems, equity investor board of directors, creditors, court appointed trustees, landlords, consolidators and private equity groups. We believe in taking a thorough and strategic approach to analyzing every imaging center business, making recommended actions tailored to each individual organization to increase value, and then leading the execution of the agreed upon direction. We are with our clients through every step of the process and beyond. We’ve worked with physician-owned imaging centers to figure out the best time to sell: how to maximize fair market valuations, EBITDA and imaging centers sales price multiples as well as providing solutions for operational issues that affect the business’ value. 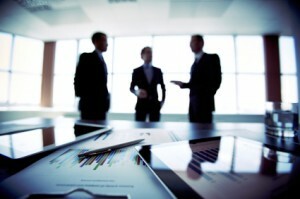 Our advisory services assignments include sell-side and buy-side M&A, joint ventures and strategic alliances, turnarounds and workouts, assessment and evaluations of strategic alternatives, valuations, and raising equity and debt capital from the following sources: local and commercial banks, finance companies, private investors, hedge funds, private equity and mezzanine/subordinated debt. Our transactional experience, superior negotiation skills, deep industry and operational knowledge and close relationships make Ambulatory Alliances your best partner to complete difficult imaging center sales.